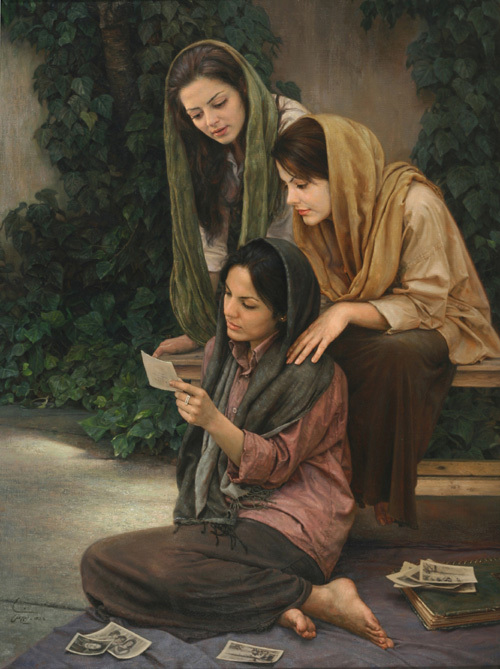 Iman Maleki paintings are known for its realistic touch that contributes to the line of photo-realistic paintings. Iman is an Iranian artist who was born on 1976 in Tehran. During his childhood days, he showed amazing interest on art. 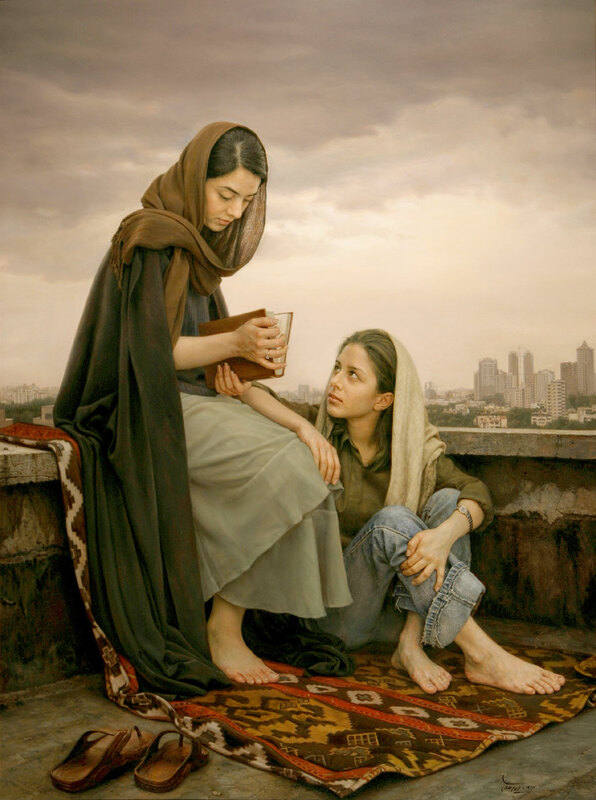 He started learning painting at the age of 15 under the great realist painter “Morteza Katouzian”. He completed his graduation in Graphic Design from the Tehran Art university. 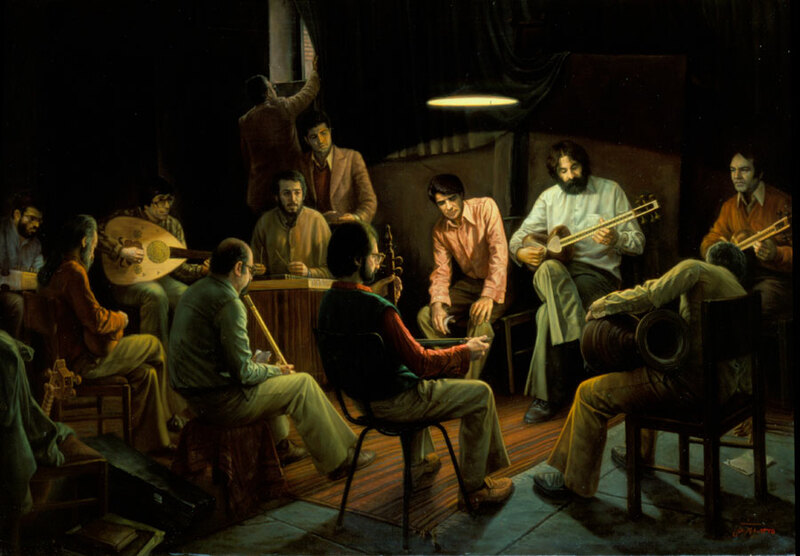 He established his own studio named ARA painting studio and started to teach painting. Iman participated in different realistic exhibitions and received William Bouguereau award in 2005. 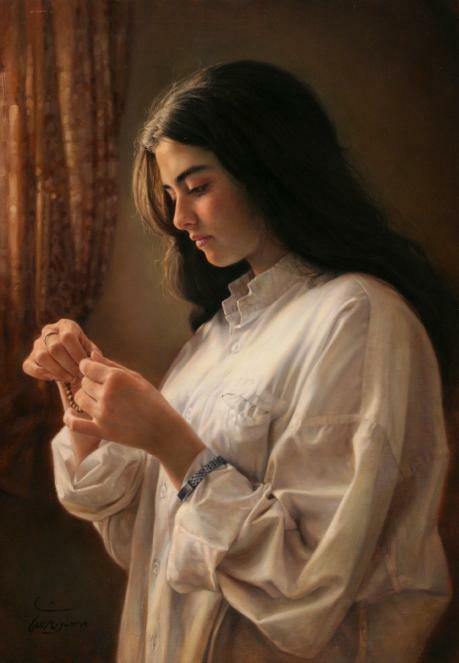 Visit Iman Maleki’s website here. 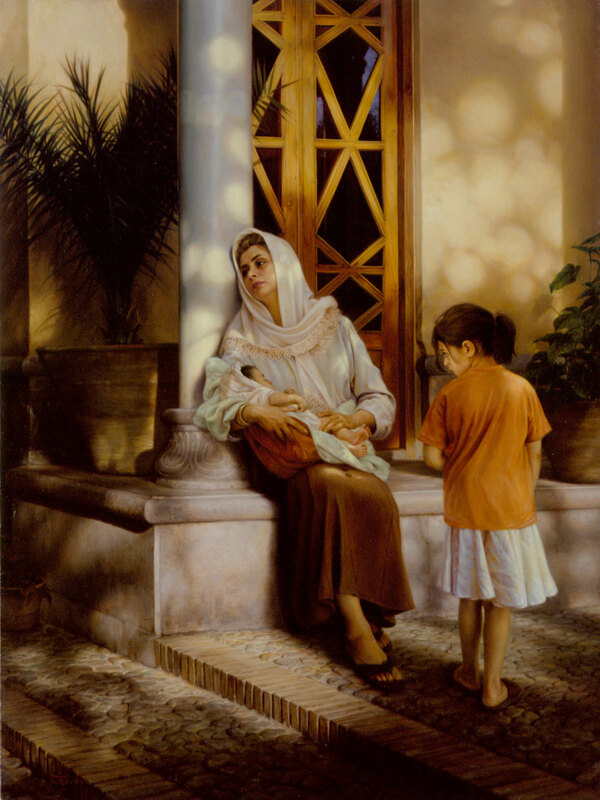 Iman maleki brought a new style of realism in his paintings. 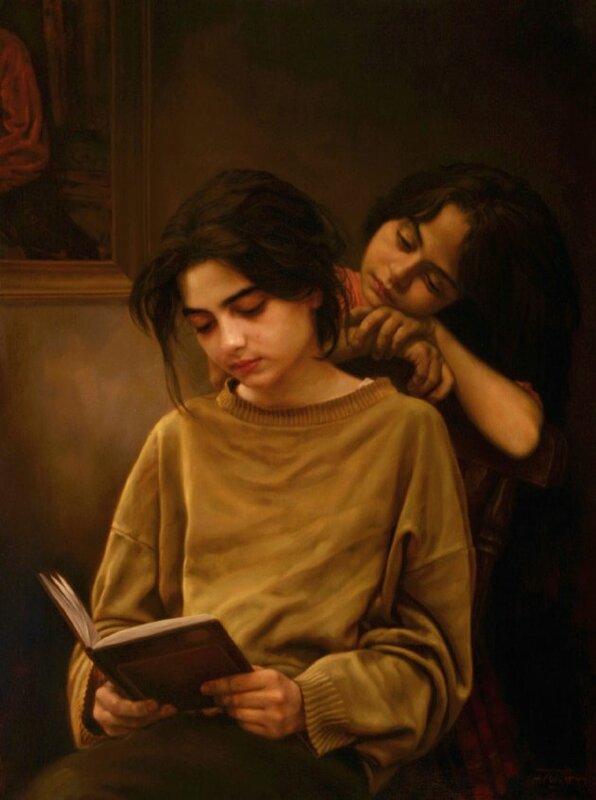 The “2 sisters and a book” painting of Iman is popular and is known for realistic tones. 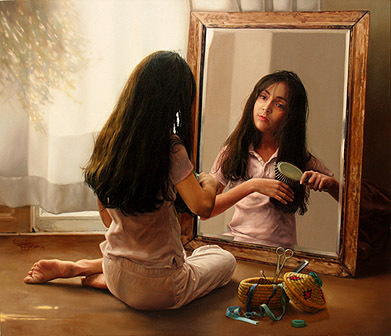 You can find a complex series of finer details in each of works that adds to the realistic look of each paintings. Perfect light n shades… woww…. 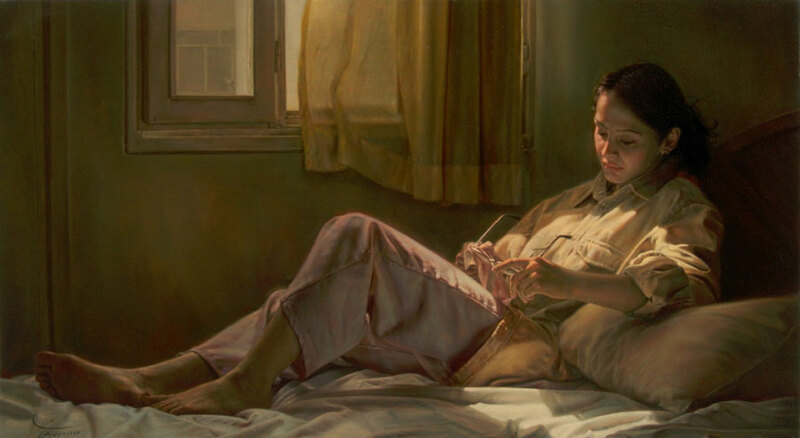 His paintings are the best example of how to use light and shades. A great artist! 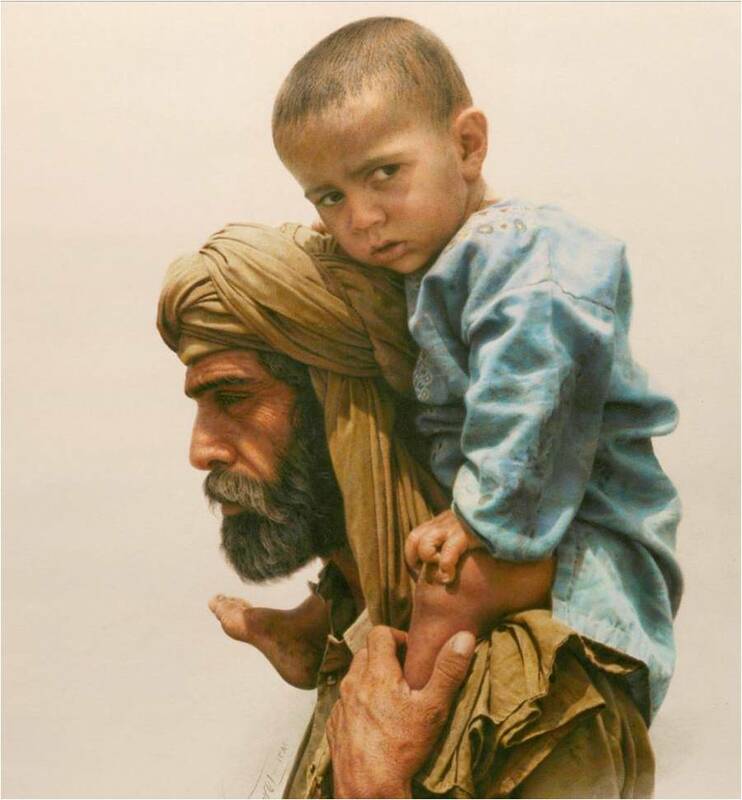 He is a talented artist and it is hard to believe these are paintings! 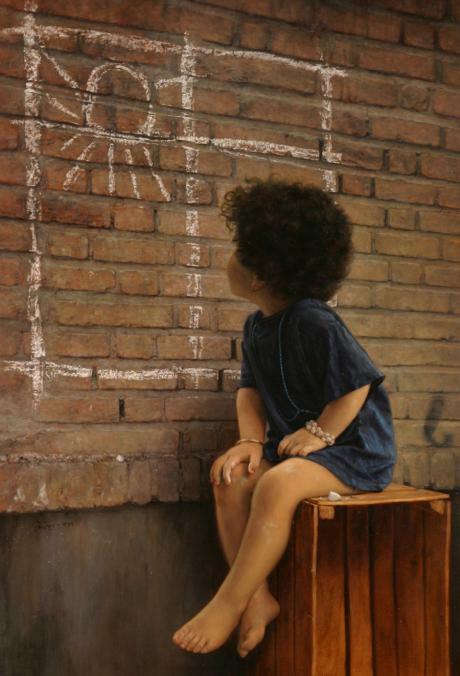 gr8 painting…great meaning….never seen somethin so real…! !